Most of us in the climate change space recognize that the communication of climate risk is a critical element of successful action on climate change. It’s also something we don’t do very well (actually, we’re lousy at it, if by communication we mean influencing others’ perceptions and actions). There’s a good deal of information available on the subject of communication in this area; see, for example, the Yale Project on Climate Change Communication. I was particularly struck by an example I saw this past week –not of good climate risk communication, but of superb climate risk confusion. It started when I read a story on Public Radio International’s (PRI’s) website about a proposal to use a large-scale supplemental feeding program to save polar bears from extinction. The PRI story discussed a newly published paper in the Conservation Letters journal, in which the researchers suggesting this unusual feeding program idea had published their proposal. The proposal suggests, among other management strategies, the need to start planning food airdrops (flying seals?) 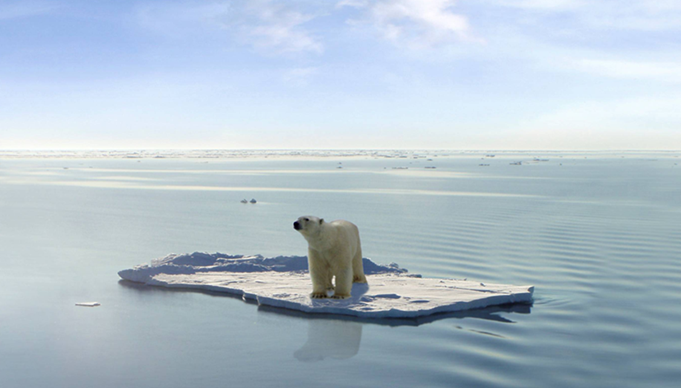 to counter polar bear starvation resulting from climate change. I have to admit that I find the idea rather odd; if climate change gets that bad, will we really focus on the survival (outside of zoos) of a single species? But polar bears have been a powerful symbol in communicating climate change and its potential impacts. If the authors of the Conservation Letters paper are trying to use the symbolism of polar bears to communicate climate risk, more power to them – right? This short case study speaks volumes about the challenges of communicating climate risk and the dangers we encounter along the way. It made me think about an important (and largely missing) piece of the climate change jigsaw puzzle, namely the ability to assess the credibility of wide-ranging and sometimes contradictory climate change risk information on the Internet. I remind myself that many of us in the field are likely to be familiar with RealClimate.org, a good science website for this; however, RealClimate is not exactly designed for the general public. Places on the Internet where people can go to try and investigate the credibility of differing opinions range from the open Q&A format of Quora (which can be helpful but exercises no quality control), to the more rigorous StackExchange Q&A format (where you are more likely to get a good answer, but the number of subjects discussed is limited). Another promising start-up in this space is Hypothes.is, launched by Dan Whaley with the objective of developing a system for rating the credibility of online statements and work in real time using a cloud-sourced approach of sorts. All of these initiatives will hopefully turn into important pieces of the 1,000,000 climate change jigsaw puzzle, even if they’re not ready to play that role just yet. The bottom line is that if we can’t come up with ways to help people interpret the meaning of seemingly diametrically opposed views on whether polar bears are doomed or doing just fine, we’re going to lose when it comes to communicating climate risk.